This was the response from my 6-year-old daughter, Keagan, upon hearing that instead of eating lunch today I had gone for a run (in my defense it was 70 degrees and sunny, the literal definition of perfect weather.) I told her to get in line behind all the other people who had told me throughout my life running doesn’t make sense. I used to have a postcard in the back of my Plymouth Neon (Hi.) 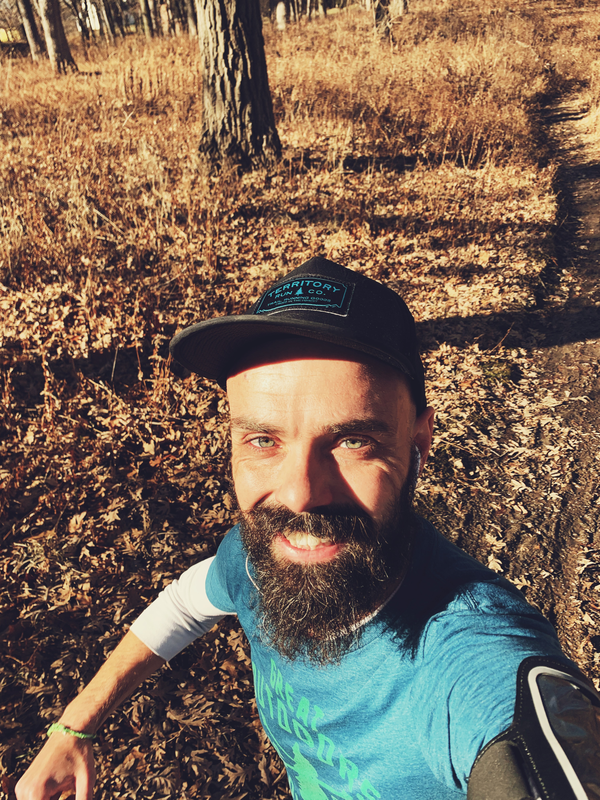 in high school that asked “Why Do I Run?” My usual answer back then was because my coach told me to, I had no idea it would lead to a lifetime of pushing myself and feeling the pangs of regret when I didn’t get to a certain workout. I had friends who played other sports who would laugh when I talked about cross country or track practice. “That’s not a sport!” they’d say. I’d like to go back and ask how many of them are playing basketball, football or baseball on a nearly daily basis almost 20 years later. I have my guess as to what the answer may be. My eyes were actually frozen like Audrey in Christmas Vacation after this run. Because I can be out the door getting lost in my own head for miles and miles at a time. Sure I listen to music or podcasts but since my dog, Zeus, ate his 15th pair of headphones recently I am taking it as a sign to just be one with my own thoughts for a while… or until the price of AirPods goes down dramatically. A bigger reason why I run, why I *still* run, is because I can. Because 15 years ago I didn’t know if I was going to be able to do anything at age 35 let alone run a marathon. 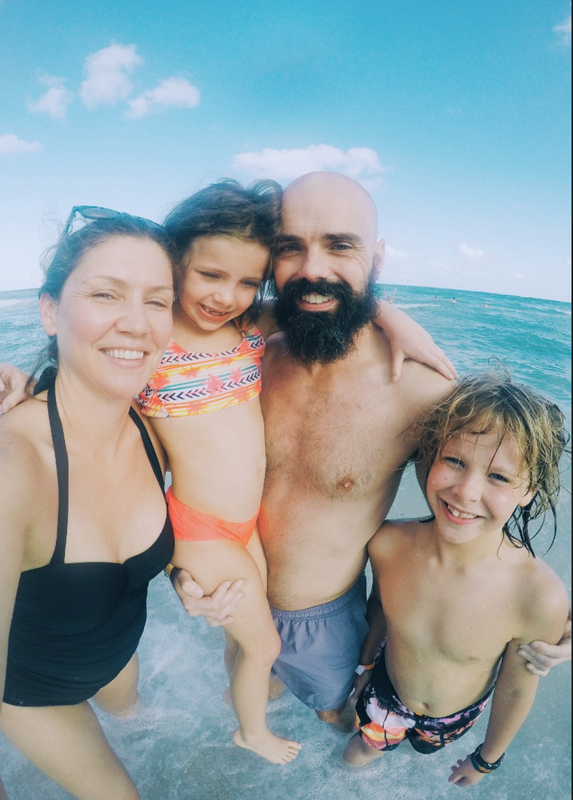 I had been diagnosed with non-Hodgkin’s lymphoma and among the myriad diagnoses and outlooks I had been given one of them was “you may not be able to have kids.” At 20, this news hits you in a couple different ways. On one hand, you’re not really thinking about kids at that exact moment in your life, or at least I wasn’t. But when you’re sitting across from the woman who would eventually be your wife and hear this news, it’s a hard reality to think *we* could never have kids. Luckily, in my situation, it wasn’t the case. My wife Libby and I have two kids, Jackson and Keagan, with number three on the way in July. I was lucky, but others who are faced with the same prospects are not as fortunate and I recognize this. So I run because life should not be taken for granted, because tomorrow everything could change and it could all be taken away. I want to live in the now. We spent the holidays this year on a cruise, so yes, we are one hundred percent to blame for this winter’s weather. Ok. This got heavy, let’s pause for a moment for a word from our sponsors. 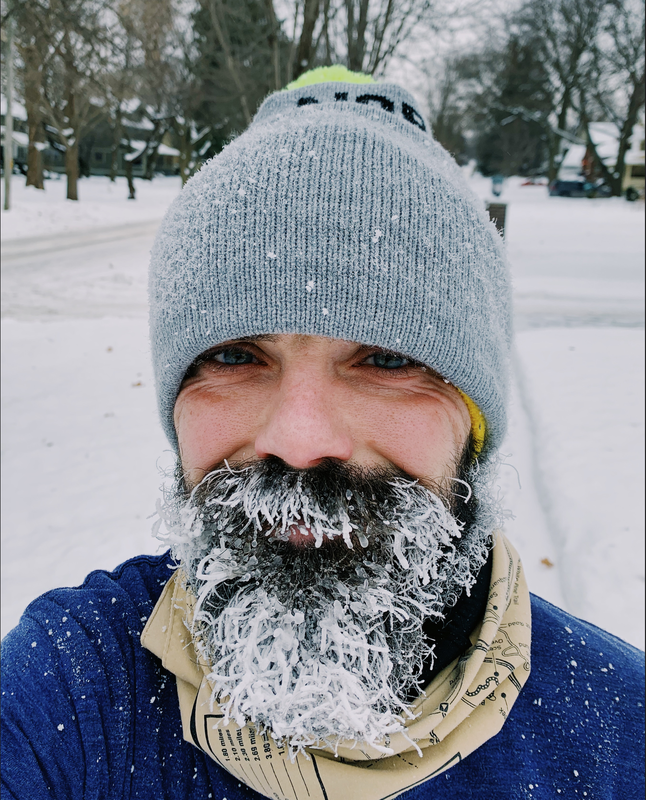 So the IMT Des Moines Marathon (IMTDMM) reached out to me recently to do a series of photo essays on my preparations for the 2019 marathon in October. Here’s the problem. It’s hard to do a photo essay of yourself running. 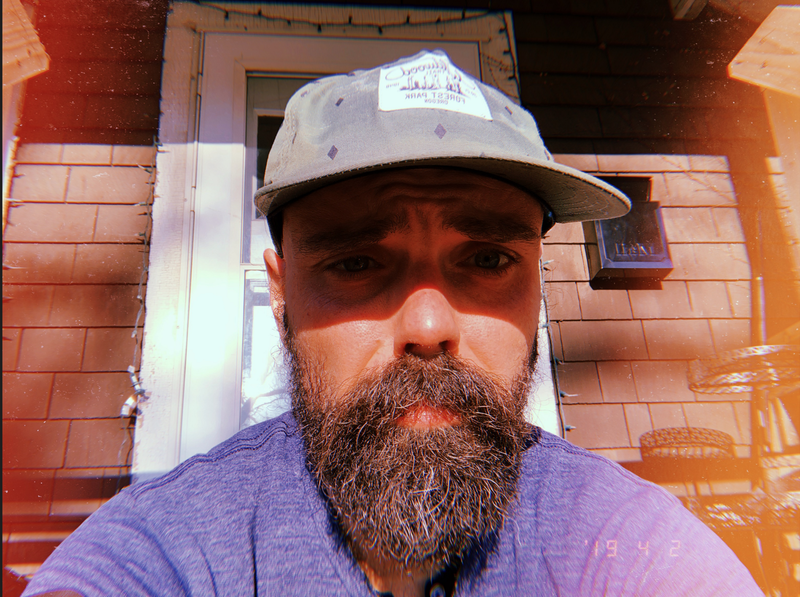 If you see a bald guy with a beard running down Grand Avenue taking selfies between now and October it’s probably me trying to generate some content. OK. Apparently I take a lot of selfies when I run. I didn’t know this until writing this article and have a lot of self reflection to do. I then realized it’s a lot easier to take photos of *other* people running and thought it might be good to create a team of people who have fought through the adversity of dealing with cancer. We don’t all have to have fought cancer ourselves. Caretakers, family members, friends… any and all are welcome. There are many organizations out there, many even right here in Des Moines, who do similar things. Above + Beyond Cancer is incredible. The Leukemia & Lymphoma Society’s Team in Training allowed me to do my one and only triathlon at my five year remission mark (and a month after our first child, Jackson, was born) in 2009. Relay For Life is phenomenal. So I know there are groups doing great things to fight back against cancer. 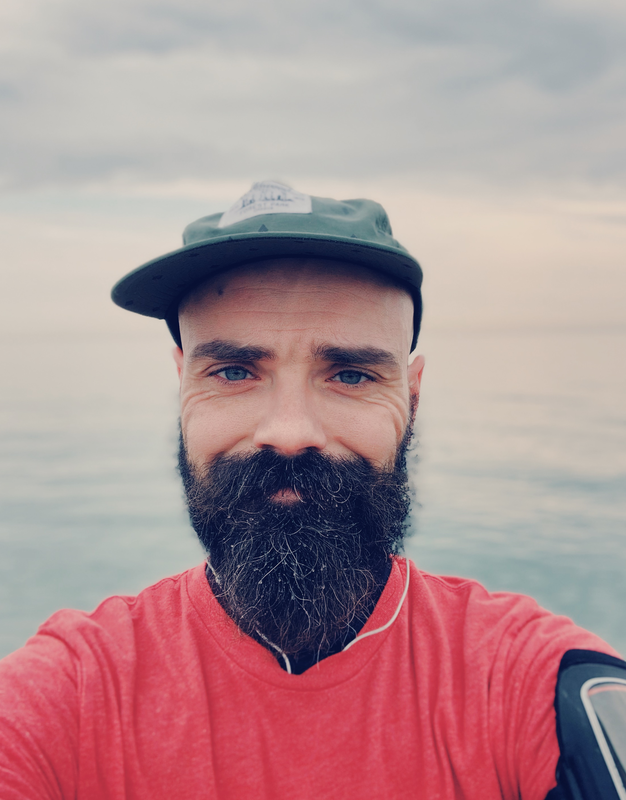 What I’m hoping to do is just be another solution to allow people the release of fulfilling a dream of running a race, maybe raise some money along the way for others who aren’t able to join us on the road and continue to advocate for a community I truly believe is one of the strongest out there. 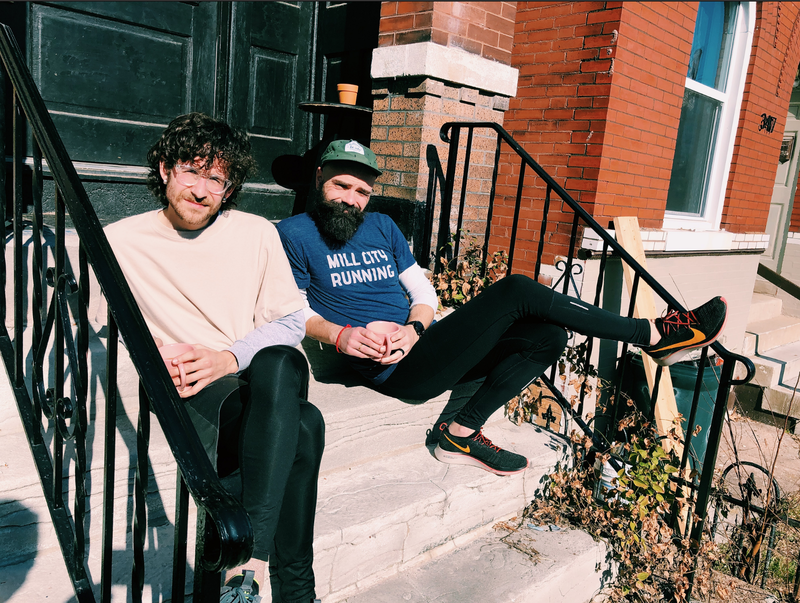 Post run porch hangs with my buddy Mickey in St. Louis. If you’re willing to join me (and get your photo taken, because again… photo.essays.) then let’s get in touch and get rolling. The IMT Des Moines Marathon is only six(ish) short months away and we have some miles to log. Last running selfie, I swear! IF you join me. Come on!